Worldpack Trading was experiencing strong customer demand for its packaging, so made the decision to open a further warehouse facility. Worldpack wanted the new site to have optimum efficiency in terms of storage and inputting items into its logistical delivery system. Worldpack partnered with Dexion to provide a solution, which ensured maximum efficiency of the building, and that allowed the 5m high trucks to pass comfortably beneath the storage corridor ceilings. The height required for the trucks became an advantage as further storage capacity could be used in the vertical space. Dexion also supplied all the sundry items required, including location indications, corridor signage and floor markings. Achieved maximum storage capacity within the height of the building, with minimum corridor spacing allowing trucks to pass. Storage capacity of 4,956-piece euro pallets, underpasses of 5,375mm, and High Bay Pallet Racking with a length of 8,000mm. Offered firm foundations for a global logistical supply chain. Dexion really understood all of Worldpack's requirements. 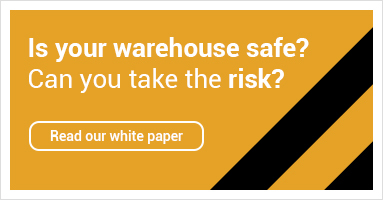 Offering a comprehensive, yet flexible solution that met both the high expectations of the team and the high demands of the warehouse.